"I tawt I taw a putty tat" - Here is Tweetie Pie, the rival of Sylvester the Cat, this sculpture is from a youtube video by Cody Williams and you can find that here - http://www.youtube.com/watch?v=RPGArb3ssKE. 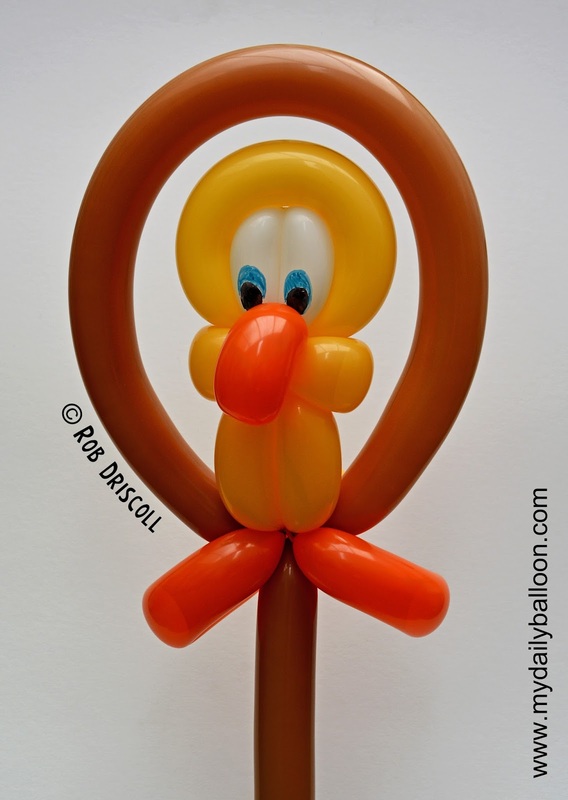 Tweetie Pie is made from 4 x 260 balloons and I think he looks really cute so thanks for sharing the video with us Cody. You can keep up to date with all the latest news and sculptures by heading over to Facebook -www.facebook.com/mydailyballoon and hitting the 'like' button, then feel free to share it with your friends.